This advanced technology is good for your comfort, your wallet, and the environment. Your monthly utility bills will be dramatically lower—20%-80% lower. The system delivers even temperatures year-round, is noiseless, and can be tied into your existing system. You’ll be happy with it—geothermal systems last up to 50 years and have the highest customer satisfaction ratings of all energy systems. With the energy crisis and need to decrease dependence on fossil fuel, there has never been a better time to convert to geothermal. Unlike traditional heating and cooling technology, geothermal systems require a minimal amount of energy by requiring only a minimum of energy to operate and help to reduce the threat of air pollution, acid rain, and the greenhouse effect. By using nontoxic Puron ®, a zero ozone-depletion refrigerant, has excellent efficiencies. Your energy source choice will be protecting the earth’s ground water and atmosphere for future generations while enjoying significantly reduced utility costs. 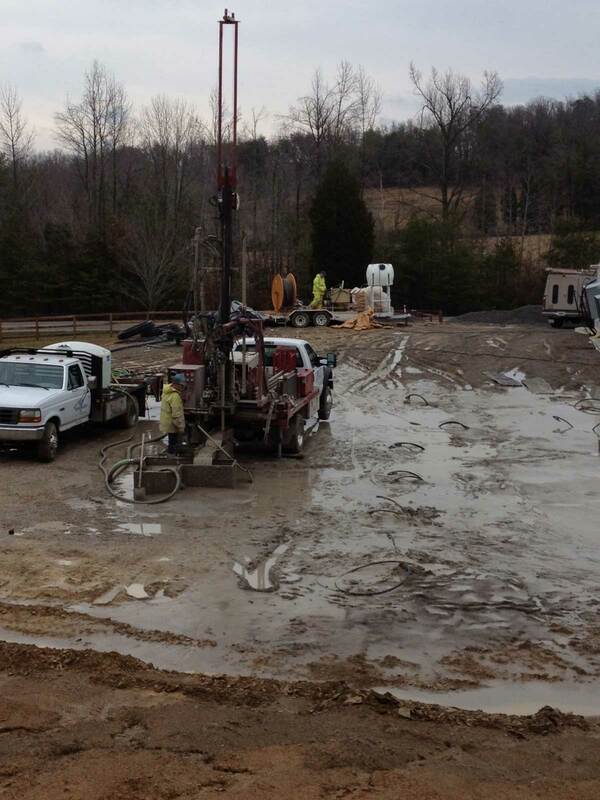 Geothermal operates by transferring heat to and from the earth. It uses three types of buried closed-loop systems—horizontal, pond, and vertical—depending on the conditions of the installation site. A solution of water and nontoxic antifreeze fills the loop and is continuously circulated by a small, low-wattage pump. The system uses the earth as condenser, pumps water in the closed system and exchanges heat and coolness with the earth using evaporative and ozone-depletion-free refrigerant technology. Lower Utility Costs—Expect a 20% to 80% decrease in monthly heating and air conditioning costs. Because geothermal does not burn combustible fuel to create heat, it provides three to four units of energy for every one used to power its system. Comfort—Geothermal systems provide even heating and cooling year round, and in the summer months dehumidify the air. Systems come in two- and three-stage compressors to deliver ultimate comfort. Long Lasting & Low Maintenance—Geothermal systems typically last 25 to 50 years. It is practically maintenance free—only periodic checks and filter changes are required. The piping has minimum warranty of 50 years. Clean & Safe—Geothermal has no flame, no flue, no odor, so there is no danger of fumes, fire, and oil leaks. Noiseless Operation—Geothermal systems, unlike traditional heat pumps and air conditioners, are noise free and will not disturb you or your neighbors. Fuel Flexibility—Minimal energy needs can be met by electric, oil, gas, or propane furnaces. Environmentally Friendly—Geothermal systems reduce dependence on the energy infrastructure by requiring only a small amount of energy to exchange heat and coolness with the earth. They are the environmentally conscious choice in heating and air conditioning. System Performance Monitoring—An automatic alert system let’s you know if the system is not running at peak performance. Installation—Installation takes one to two days. 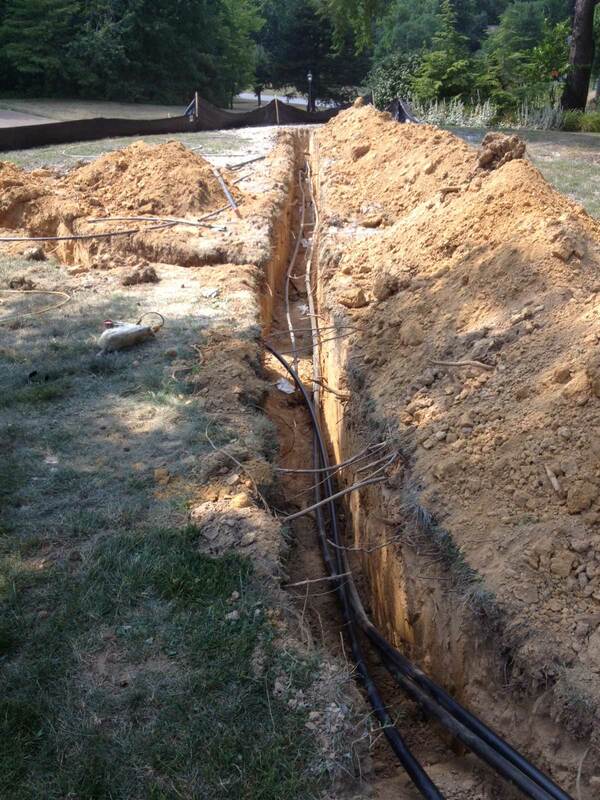 As the entire ground loop is outside, installation is easy and not disruptive. While installation prices average $4,000-$5,000 more than traditional heating systems, you’ll recoup the cost within 2-3 years and achieve substantial long-term cost savings. And because the system can tie in with your existing interior heating and cooling equipment, you can achieve lower installation costs than a full-system overhaul. Owner Satisfaction—Compared to all other heating and cooling systems, geothermal systems have the highest customer satisfaction rating among all heating and cooling systems, according to independent consumer surveys. HF Refrigeration invites you to a whole new level of affordable comfort and peace of mind. Please call 812-435-9793 for a free consultation.